As Eugene Stoner, Miller, et al, were polishing the AR15 design in .222 Remington Special, Winchester staff (including "Carbine Williams" of M1 Carbine fame, were working on their own Small Caliber High Velocity firearm, the Winchester .224 Light Rifle. The .224 Winchester round was almost interchangeable with the 222 Remington special (later .223 Remington, and later yet the 5.56mm), with the exception of it its shorter OAL of the .224 Winchester's stubbier 53 grain, flat base bullet. 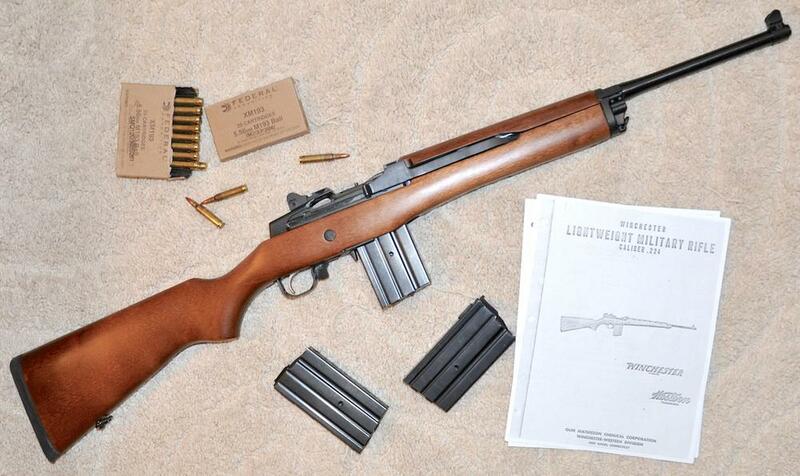 It is not amazing that it bears more than a casual resemblance to the M1 carbine, also a Winchester design. What is also not surprising is that the Ruger Mini-14 as originally introduced in 1973, also bears a striking resemblance to the .224 Light Rifle, right down to the nearly identical straight sided 20 round magazine of nearly identical design. I did a thread on this several years ago on Retro AR15.com I thought I would initiate it again. Here is the archived thread: Lots of great info. 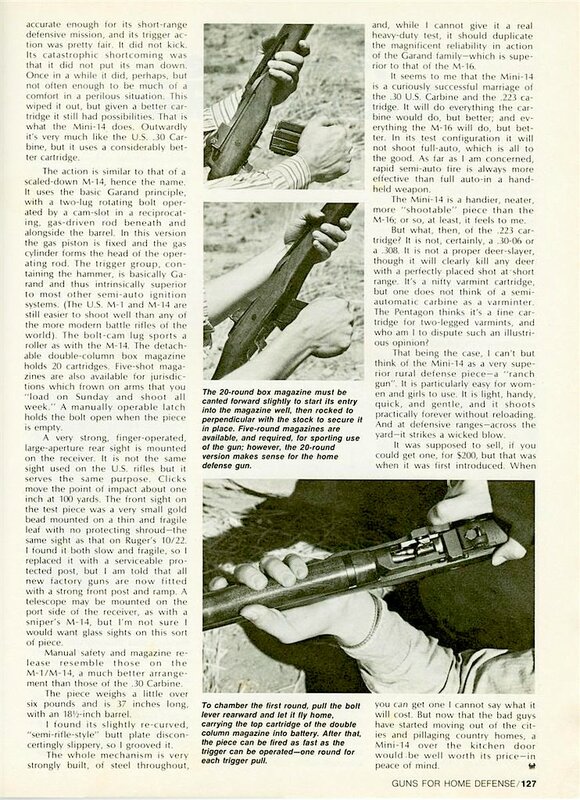 Also PDF of Jeff Cooper's 1974 evaluation of the "New Ruger Mini-14". Last edited by imarangemaster; 02-02-2018 at 08:45 PM. Here's the 1872 Jeff Cooper article about the "new Mini-14". You can see the resemblance (at least in form and concept) to the Winchester .224 Light Rifle. When you consider that in 1957, military arms had been wood and steel for centuries. 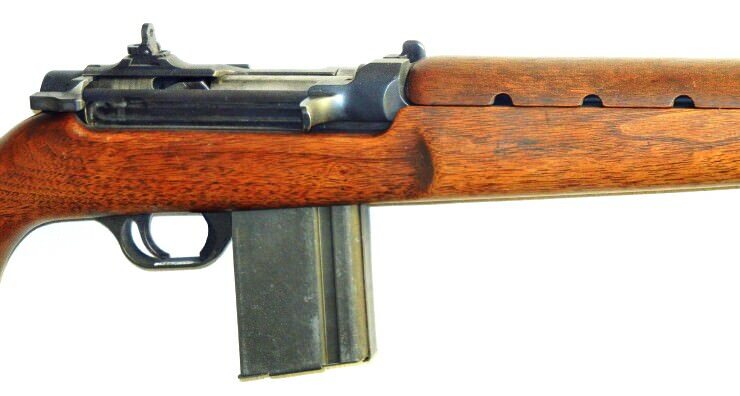 It is not surprising that Winchester would capitalize on the successful (wood and steel) M1 carbine. The AR15 was so far off the chart as far as the military was concerned, it could have been for Buck Rogers, centuries in the future. While researching the origins of the the Ruger Mini-14 and contrasting it to the 1957 SCHV trials submission Winchester .224 Light Rifle, I found interesting information. L. James Sullivan, who was one of the primary design engineers on Eugene Stoner's team at ArmaLite that designed the AR15 prototype that competed in the 1957 trials, was recruited by Bill Ruger after he left ArmaLite in the late 1960s. 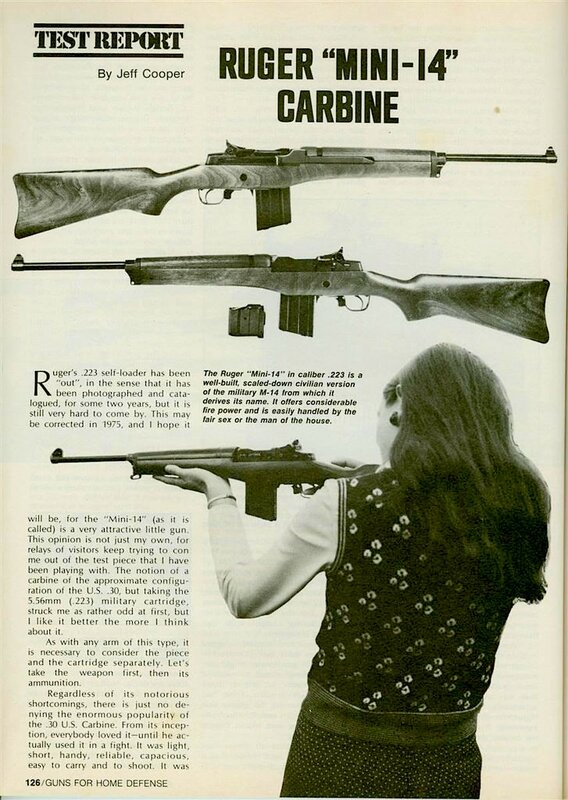 Ruger brought him in specifically to design the original Mini-14. 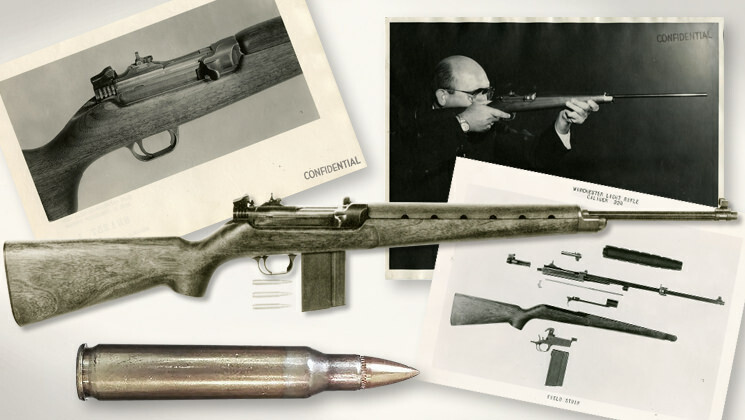 The Mini-14 was based on the concept of the wood stocked, .223 caliber Winchester .224 Light Rifle (that Sullivan would have been familiar with during the trials with his AR15), but using rather the proven M1/M14 system scaled down. Interesting interview of the man that designed both the AR15 and the Mini-14. That would drive the AR15 fanboys and Mini-haters crazy! Last edited by imarangemaster; 02-02-2018 at 10:36 PM. Good looking version you have there as well. The original .224 WLMR suffered from accuracy issues in the SCHV trials, especially when it got hot after prolonged firing. This was due to it's very light weight barrel. 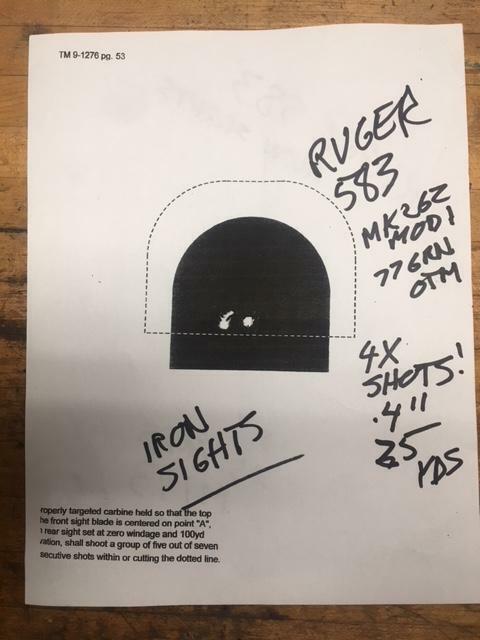 With this in mind, it surprises me that Ruger used a lightweight barrel on their Mini-14s (which also suffered from accuracy issues when hot). It was not corrected until 2000, when they introduced a heavier, hammer forged, tapered barrel in their reworked and improved 580 series Mini-14. Mini-14s now tend to be 2 MOA or less from the factory with good ammo. My new 583 series, despite its 1/9 twist barrel, gets 1.5" MOA with MK262 MOD1 77 grn Sierra Match King OTMs at 2800 fps. This makes me wonder what "might have" been if Winchester is Winchester hadn't dropped the WLMR program, but continued R&D instead. Using a M1 Carbine 25 yard battle sight target, I got this group: the left hole is 3 shots, and the right is a single shot. Group was .4" - not to bad, and certainly good enough for 100 yard iron sight Goblin or Coyote shooting on the ranch. Last edited by imarangemaster; 02-03-2018 at 09:09 AM. MY traditional line up to go with my ARs M1 Carbine, new 583 Series Mini-14 5.56 and new 583 Series Mini-30 in 7.62x39: Sullivan did a good job on both the AR15 and the Mini-14. Last edited by imarangemaster; 03-20-2018 at 01:17 PM. Beautiful trio! 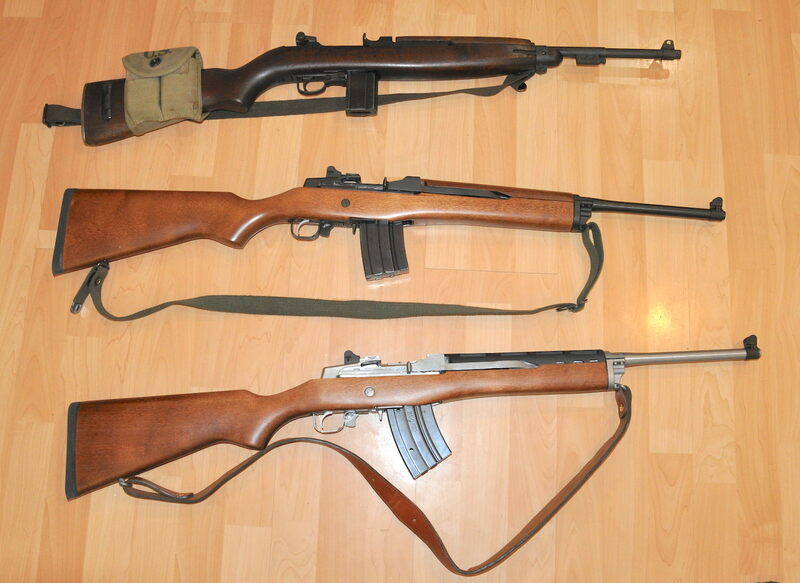 Especially the M1 Carbine, I have a soft spot for them. Nice read thanks for posting.